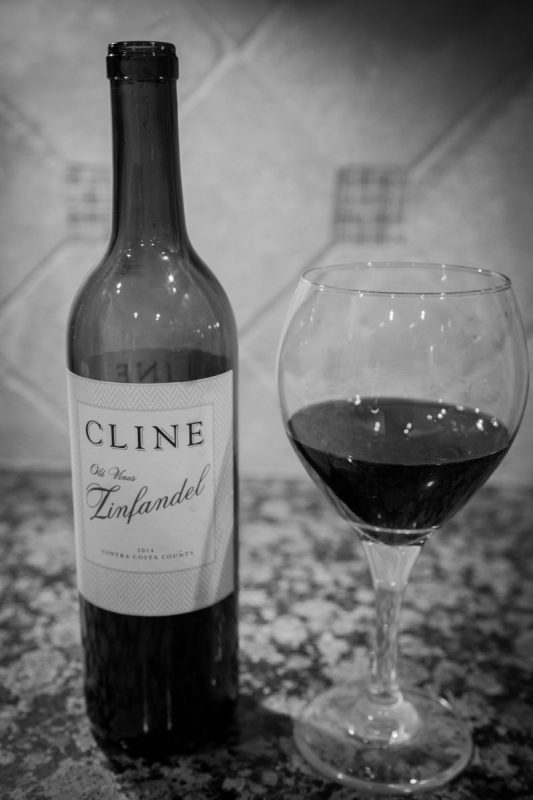 Our bargain wine of the week is the Cline 2014 Old Vine Zinfandel. We purchased this wine for $13.00 from a local grocery store. 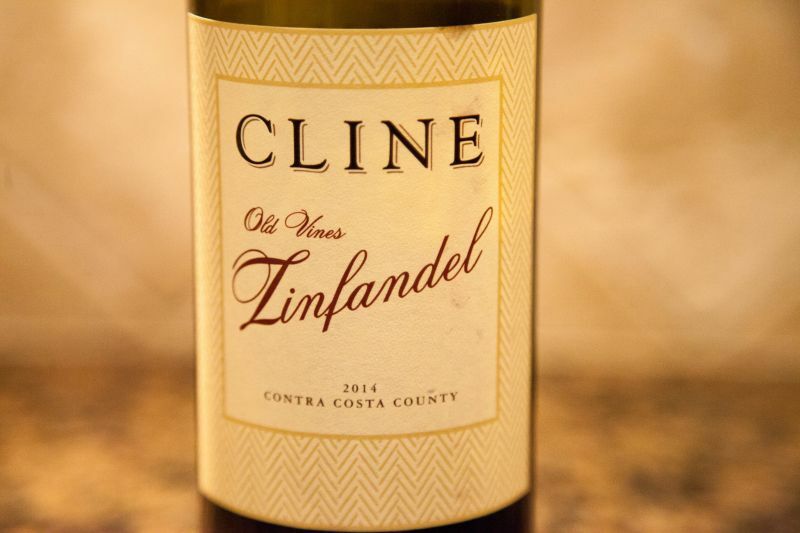 Before we started this blog we visited Cline’s winery in Sonoma Valley on several occasions. We intend to go back and write about the attractive setting and wine tasting at some point. This week’s bargain wine is from vineyards in Contra Costa County and not from their Sonoma estate. The colour of the wine was a dark purple; surprisingly intense for a Zinfandel. On opening, the nose was muted, but opened up after an hour or so to present a rich bouquet of dark fruits. The very taste was of intense fruit; blackcurrant specifically. The fruit lingered to be joined by black-tea and a light kick of cardamom. The wine is clearly drinkable now, but the tannins revealed by that back tea suggest that despite the low-price you could keep bottles of this around for a few years. California Girl comments: I really liked that this wine wasn’t too jammy. It felt really balanced. It was fruit forward, but that wasn’t the entire story of this bottle of wine. 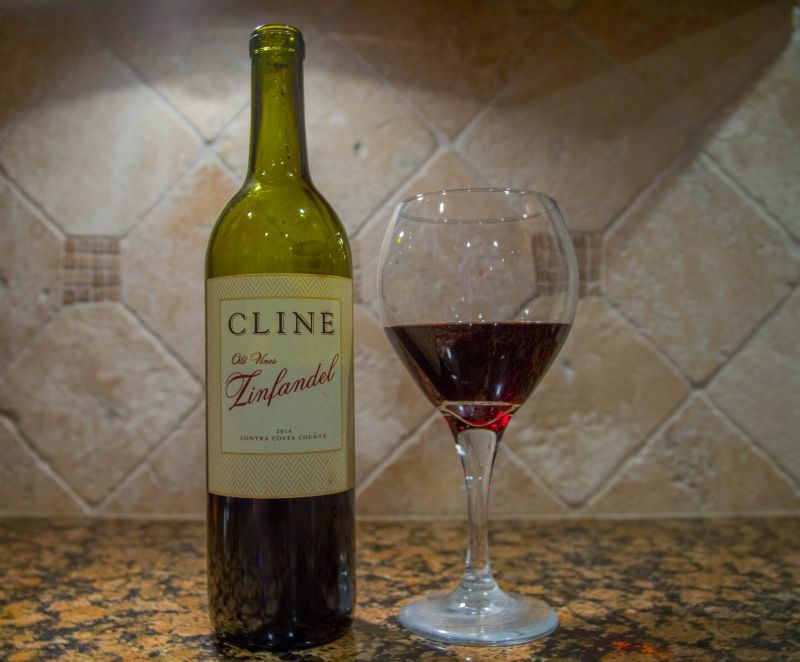 This Zin has a richness and a subtle spice of baking spices about it that really makes it stand out. A true winner for the price. We love Cline. It is always a mandatory stop when we are in the area. Plus I love to see all the fish in the pond and all the animals! There are so many amazing vineyards, its actually getting difficult for us to “go back” to any. We are even thinking of dropping some of our memberships because we are visiting new places each week.